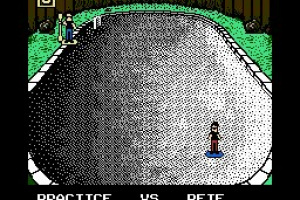 You can play alone or challenge a friend in all of the events in this NES classic. 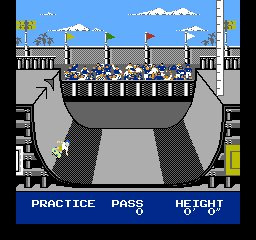 So get ready for skating action like you've never seen before! Is this the same game as the arcade game "720"? No, it's not 720. It was clearly aiming for 720's market, hence the title, but this is more of a "Summer Games" type of game, i.e. a collection of discreet, unconnected events. It actually wasn't a bad game on its own, though the different events are hit or miss. 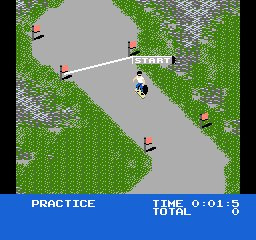 I remember playing the downhill course over and over and over again to improve my time. I got so I could get to the bottom in less that twenty seconds every try. 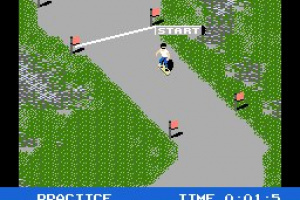 I remember the game's too hard and not much fun at all. I liked this game personally. 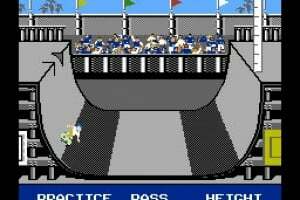 Joust, and the downhill race were quite fun game modes. (And that one in the city, I forgot what it was called.) The "High jump" on was quite frustrating though, until I figured out you had to tape the button to go higher. 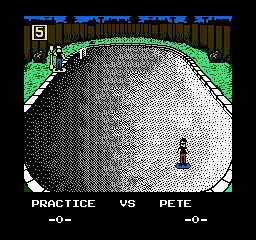 The title screen also had some good classic 8-bit electric guitar sounds. 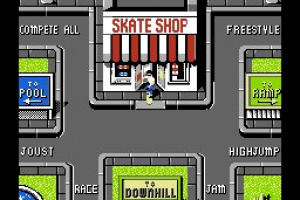 What's the name of that other Skateboarding game for the NES? I think i heard it's better than this one. 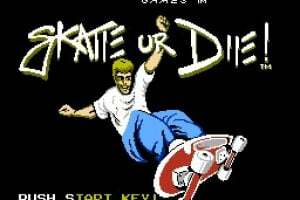 They did port 720 to NES, and it was a lot better than Skate or Die. 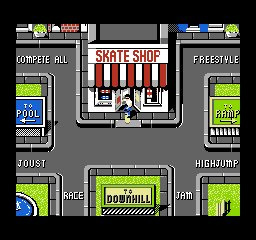 the other Skateboarding titles I can think of were California Games and T&C Surf Designs. Both of those had surfing in them too. 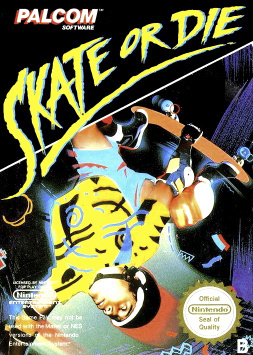 This game was rad! Can't wait till they release it in NA! 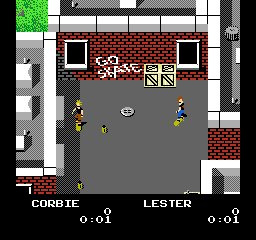 The game was obviously inspired by 720, but it's worth noting that while 720 is older than this, it wasn't actually ported to the NES until after this game has been released. 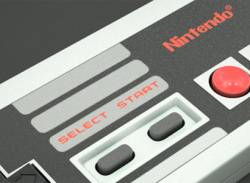 As others have mentioned, though, the NES port of 720 is way better than this thing. Hopefully we'll see that on the VC eventually. 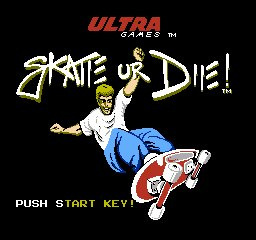 A decent skating title from the 8-bit era, but it's not likely to find an audience with anyone other than fans of the game from the NES days. 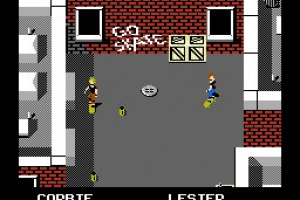 All I remember about this game was repeatedly wondering why I kept bailing out. I'm waiting for this game on the American VC!! !